2. Discussion：Why aren’t Japanese promoted soon after joining a company? 2. Discussion：Agree or disagree – Open floor plans are better than cubicle firms. 1. ディスカッション：Life begins at forty. Do you agree? 2. 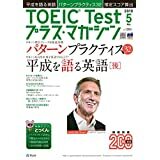 テーマ別英単語 ACADEMIC［初級］: Review tests AE(L01) to AE(L39).